We all know that the Android is the world’s most popular mobile Operating System and almost 70% of the smartphone users are the Android users. Because of its plenty of amazing features like Unlimited number of free Apps, Expandable Memory, Custom ROMs, Cheap price, etc., people loves to choose Android over iOS and Windows. Whether you have a Smartphone or Tablet, you can’t able to enjoy its complete benefits without the help of “Android Applications”. Apps plays a crucial role in the smartphones to explore their hidden features, so people are going crazy on the apps. Apps will make you enjoy from flashlight to Internet video calls. When it comes to the Apps for Android, users can able to enjoy the Applications through Google Play Store which is the official App store from Google. There are about 1.5+ Million Apps are available in various categories in the Google Play Store(including both free and paid versions) such as games, books, newsstand, maps, movies etc. Through this article we have listed below the Top 20 most popular free Android Apps for Smartphones and Tablet. Undoubtedly Google Chrome is the most popular web browser for PC as well as the Android Smartphones, millions of people are experiencing it with lots of features. By using this app you can browse fast as much you can and it really works like a desktop version, also you can save up to 50% of data usage by making voice search. Some additional features are save large number of internet data while browsing, you can use Incognito mode for browsing which will never store browser history, it is possible to open many tabs at the same time and also it can able to change the orders of the tabs by just swiping. This is a helpful app to browse any images quickly through the Google image search. Basically Android users will go crazy on Games, because it provides a visual treat and it gives excellent adventures which will make you to sink into the game throughout the end. Among all the Android games provide by Google Play, Angry Birds is the first preference for most of the people. Angry Bird is a revenge based game released on 2009 by Rovio Entertainment. At the very beginning it was released for iOS only, due to massive response from the iOS users they launched this App for Android users on 2010 and recently they celebrated the 5th anniversary of this App. The theme of this App is about the birds taking revenge against the greedy pigs, who stole their eggs earlier. Download Link – Angry Birds Android App. Skype is one of the best Communication based Android App used to make chat through message, make voice and video call with the people around the world. It is one of the best App for video calling which will connect the people without any interference. Some additional features of this App will helps you to share photos and videos with your dearest one and you can make voice call to the people having Mobile or Land-lines even who are not in Skype with low call costs. Skype is available for smartphones, tablets, personal computer including all OS and even on TVs. Download Link – Skype Android App. MX Player is one of the best video player application which is used to play high quality videos with impressive additional features. It has various attractive features like Zoom in and Zoom out the video while playing, seek the video easily by swiping right or left, adjust the brightness by swiping top or bottom on the left side of the screen, adjust the volume by swiping top or bottom on the right side of the screen and also double tap to play or pause the video. It supports subtitle in all language, we have to choose the language to display while playing video. It proud to announce that MX Player is the first Android video player Application which supports multi-core decoding in high end device. Download Link – MX Player Android App. Facebook is an unbeatable social networking platform on the web. Because of its features, millions of people are addicted to this social networking giant. From the year 2012 they also provides their service through the official “Facebook” App for Android users. With the help of this App user can enjoy the better Facebook browsing experience on anywhere, anytime by just installing it on their Android device. Most important features of this app are automatic instant notifications & updates from your friends, share your status with Photos & Videos, in addition to that you can play games and enjoy your favorite applications. Quick access features are Like and Comment in any status within a fractions of seconds. Download Link – Facebook Android App. Photography is the essential one to recall our memories or to share our experience to our friends or family members. PicsArt Photo Studio is the perfect app for those who are loving Photography and living with it. Using this App, you can design any photos with adding fun and you can modify something to make your memorable photos much better. In PicsArt Photo Studio, there are lots of arts are available such as smileys, fun images, animal emotions, cliparts, frames, fonts, tattoos, paper art etc. Designed photos can be instantly shared on Facebook, Twitter, Instagram, Dropbox etc. Collage maker is already exist in it to collage large number of photos into a single photo. Effective tools are used in this app are brushing, clone, sharpen, resize etc. Download Link – PicsArt Photo Studio Android App. Super – Bright LED Flashlight is a top rated free App for Android which helps to turn your smartphone into a ultra bright flashlight. A very essential tool for using this app is that your device should comes with a flashlight feature by default. It allows users to switch ON/OFF the Flashlight by just touching the virtual switch, which is present on the App interface. And also you are able to increase/decrease the brightness of the light by just swiping the Strobe option. Blinking button option used to blinking the flashlight frequently or steadily. If you have an Android Smartphone along with the Flashlight feature, then this app is a much needed one for you to capture a clear photo in a dark place. Download Link – Super-Bright LED Flashlight Android App. WhatsApp is a leading messaging Application, which is available for Android Smartphones. WhatsApp uses your Smartphone’s data connection charges rather than your main account charges. You can easily send and receive photos, videos and voice messages also. It will use your phone’s internet connection(2G,3G,4G). WhatsApp is absolutely free for first one year and after that you have to be charged $1 only. We can send messages and also can make voice call to your friends and family worldwide through WhatsApp. It will not take any extra charges for international chats and voice calls too. WhatsApp automatically will take contacts from your phone’s contacts itself. One of the main advantage of WhatsApp is that you can make a group chat with your friends and family. WhatsApp will save your messages, even your network connection is Turn-off. Download Link – WhatsApp Messenger Android App. Clean Master is an All-Rounder App for your Android Smartphones & Tabs, which performs plenty of different useful tasks to increase the life of an Android Device. Clean Master App helps to clean the unnecessary files(Temporary files, Cache files, residual files) of your device in just few seconds with simple process. After the cleanup process your smartphone will be worked smoothly, and the “Memory Boost” feature allows you to get more storage from both your phone & SD Card. If you use this App then you don’t need to use any additional antivirus Applications, because it also works as an powerful Antivirus. So you are able to keep your device safe from Malware, Viruses, Trojans, etc., By using this app you can easily find & stop the Applications, which are killing your Smartphone’s battery life, so it is easy to Boost-up the performance and speed of an Android Device. Download Link – Clean Master Android App. TureCaller is one of the popular and finest App for Android, which helps users to identify the unknown calls along with the Caller ID. It is possible? yes it is possible, as a user of this App you can easily find a person who is calling you even you don’t have their contact in your Smartphone. By using this call identification App you can easily find the owner of a mobile number(Android user) all around the world and you should have an internet data connection for accessing this App. In addition to that “Call Filter” option allows you to filter the calls from the particular contacts. Are you annoying often from the unwanted telemarketing calls, then you can easily block those spam calls through the Turecaller App. Download Link – Truecaller Android App. Launcher is one of the most powerful feature of Android, which allows users to customize their Smartphone’s screen with colorful images, graphics, fonts, etc., There are thousands of free Android Apps are available to stylify the Home screen of your device. Among the all launcher Apps, “Go Launcher Ex” is a first preference for the maximum people, who loves to decorate their display with the eye catching themes & wallpapers. Go Launcher is a light weighted and top rated Android App with more than 200 million world wide users. It offers more than 10,000 attractive themes, HD wallpapers and it comes with customization feature for fonts, icons, background, etc., If you want to decorate your Smartphone’s theme by yourself then Go Launcher is a best App for you. Download Link – Go Launcher Ex Android App. Google Maps is a most popular Navigation Android App provided by Google and it offers street maps, satellite images and street views. By using this App you can make your travelling experiences faster and easier, because it provides voice guidance with step by step directions, so you can easily find-out any places along with distance. Another ultimate feature of this app is, as a user you can check the live traffic conditions around your place. If you wish to avoid the heavy traffic then it will shows some alternative routes, so it is really helpful to save your time. It offers Accurate & detailed Maps in over 220 countries & territories and it has detailed information of over 100 million places. Even you don’t need to have internet data connection for accessing the basic features of this App. Download Link – Google Maps Android Apps. When it comes to the free Photo editing App for Android, we have a lots of choice. Because Google Play Store filled with tons of Apps which is related to the Photo Editing. Among the all popular Photo Editor App, “Retrica” is the most suggested App for people who wants to turn their captured images into a memorable one. The App comes with over 100 professionally designed filters, which will transform your photos into an Amazing Art. It allows users to take consecutive photos and it will give a guide to make collage image with the help of Collage maker feature. By using Retrica’s live Filters option, you can see that how your photos will look, before you have captured. After finished the editing, you can easily share your photos with your online friends through the popular social networking sites. Download Link – Retrica Android App. We all know that eBay is one of the leading Online shopping site, they also offers it’s official free App for the Android users to make better shopping at eBay through their SmartPhone itself. This App completely filled with a lots of features that make it easy to buying and selling products on eBay at anywhere & anytime. Through the search box you can search and find a particular product among the millions of products. Barcode scanner feature helps to find items quickly and also you are able to compare prices of the products before place the order. After you have completed a order, it is possible to Track the order in step by step level. eBay App can supports in plenty of languages such as English, Italian, French, German, etc., They provides a small widget for your home screen, which works like a shortcut for the eBay App. Download Link – eBay Android App. AppLock is a must have App for the Android users, who wants to protects their individual files & Apps with Password protection. It comes with ultimate features with 24 languages supports, so surely it will protect your privacy. By using this app you can lock different kinds of Apps and activities on your Smartphone such as E-Mail, Facebook, Call logs, SMS, Contacts, and any other Apps. If you want to hide your private files(Images, Videos) from somebody, then this app will help you to hide your individual files easily. After you have saved the files in the hidden mode nobody can see the files except you, even you can hide the icon of this App from Launcher. User can protect their files & Apps in two strongest ways, first one is Password protection and another one is Pattern lock protection. It takes little amount of memory only so it is a power-saving App, it also available both free & premium versions. Download Link – AppLock Android App. Candy Crush Saga is a Puzzle based video game released by King(developer). At very first it was launched only for Facebook, but after receiving a huge success from the Facebook users they released this game for Android Smartphones. Now it has over billions of world wide users and it is the most wanted video game on the Google Play Store. Basically Candy Crush Saga is a normal match-three puzzle game, but the special feature of this game is, it filled with lots of different & colorful candies instead of the normal icons. So you can able to feel & enjoy the delicious sweets while playing. Compared with the other Online games, CCS is really easy to play. So small children to Grandparents, anybody can play this game and unlock hundreds of levels without reading a game guide. If you are playing this game for the first time, you need to pass the 50 levels to unlock the dreamworld then you can start your adventures. Download Link – Candy Crush Saga Android App. Are you are a person, who frequently dealing with certain Battery problems on your Android Smartphone, then you should have the “DU Battery Saver” App on your device. DU Battery Saver is a leading Battery Saving App that will extend the Battery life of your Smartphone by 50%. By using this App users can find & solve the battery problems easily and can able to check the battery status & health. The most helpful feature of this App is “Optimize” which guides to shutdown the unused background Apps, in order to Speedup & increase the performance of your Smartphone. Overall it is great App for people who uses their Mobile for a long time without Charging it frequently. This App is available for both free and paid versions, if you will upgrade your account then you can improve your battery life by 70%. Download Link – DU Battery Saver Android App. Hill Climb Racing is one of the most addicted & most wanted driving game among the Android users, and it is listed in the Top 10 most popular Android games of all time. Hill Climb Racing is a challenging physics based driving game and here you will need to drive your vehicle in order to climbing the hills. All the tracks of this game is located only on the hills, so you have to drive & go ahead carefully. As a user you can use both Accelerat & Break for driving your vehicle, your vehicle can be a Jeep/Bike/Truck, it is based on your versions(Free & Paid). First you should start to climb your vehicle using the acceleration but the “Gravity” will try to pull you down, at that time you can apply the break to balance your vehicle. But if you are applying the break roughly then there is a possibility to overturn your vehicle, then you will lose. So try to drive smoothly without flipping over. Download Link – Hill Climb Racing Android Game. Weather & Clock Widget is a No.1 Weather checking App for Android, which helps you to check the quick & accurate weather reports around your place. By using this App you can check the current weather condition at any time & anywhere all around the world, even you can also get future weather forecasting reports (up to next 10 days). The weather report includes various results such as Current temperature, humidity, pressure, current weather condition, wind speed & direction, etc., You can use this App as a Cool widget on your home screen in order get quick access and the reports will be available on the status bar. It is available for various languages and it supports a wide range of Android Smartphones which has Android Version 2.3 and above. If you wish to try this App on your Smartphone then you can get it on the Google Play Store without paying anything, yes its completely free. Download Link – Weather & Clock Widget Android App. YouTube is the most popular video sharing website in Online, now it is owned by the Internet giant Google. Google provides its official YouTube App for Android Smartphones & Tablets through the Play Store. By using this App users can able to watch oldest videos to latest trending videos with quick loading. Even this App has the ability to play HD & Ultra HD videos. User can do all the activities on this App as like as desktop version, yes it allows users to Subscribe channels, share videos, drop comments, etc., and you can send your favourite videos from your Smartphone to your Chromecast or Smart TV and enjoy it with a group of people. If you feel that YouTube is only for your Entertainment, then your thought is wrong, Because through this App it is possible to learn about everything in a short period of time. So install this App for free to make fun & try to learn anything. Download Link – YouTube Android App. We have listed the Top 20 Most Popular Android Apps of All Time through the above list. 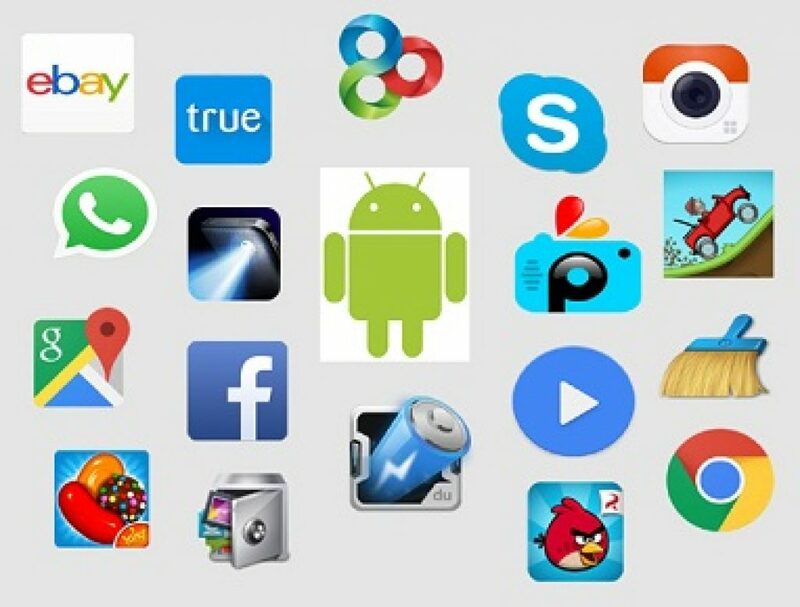 Surely it will be a useful list for people who loves to use Android Apps on their Smartphone. Thank you.